We wish all our customers and friends a wonderful holiday season and a great New Year. 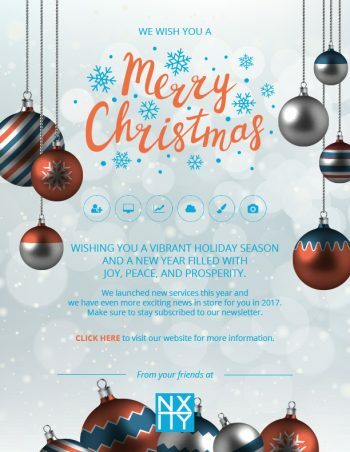 NXITY launched many new services during this year and are very excited to show what we have in store for you in 2017. It is truly going to be an amazing year with launching of brand new service areas. Make sure to visit our website frequently and stay subscribed to our newsletter to stay tuned on the latest news.